BYOD (Bring You Own Device) promises many benefits such as greater innovation, better work-life balance and improved productivity, but it also increases pressure on IT to manage and secure devices and data. How to do BYOD successfully is a challenge. 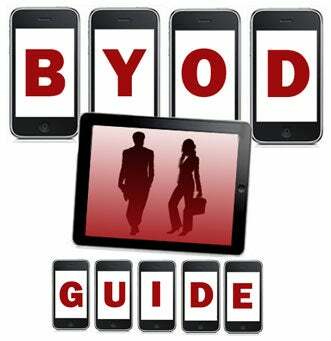 CIO.com's BYOD guide offers a variety of resources and strategies to help you navigate the many pros and cons, security issues, costs and more. With the increased popularity of powerful tablets and the rise in mobile malware, it's no surprise that Forrester research released today shows that IT managers feel uneasy about BYOD. The BYOD policy at a California law firm earned the CIO the nickname of Big Brother. However, the sarcasm stopped when he sprang into action and saved the day when an attorney's smartphone was swiped. The case represents the love-hate relationship workers and IT management have with BYOD. Cloud storage, text messaging, poor accountability and the "Bad Leaver" open the doors to data breaches in a BYOD environment, says a cyber- crime expert in this CIO.com interview. When it comes to security risks, BYOD is the gift that keeps on giving. But what about the devices that your employees used to use, gave up on and, months later, finally dug out of the closet to sell? That's another issue to wrestle with. Here are seven ways to beat the monsters. 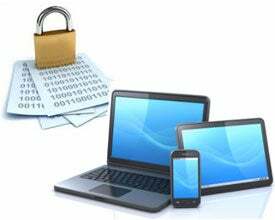 BYOD Security Concerns: Does IT Protest Too Much? Mobile security concerns about bring-your-own devices are overblown, says an IT security expert in this CIO.com Q&A. IT organizations are justifiably concerned about the security risks inherent in bringing your own device (BYOD). Many are turning to mobile device management (MDM) products and services to address the problem. But a number of mobile security vendors believe organizations are focusing the device when they should be focusing on the data. BYOD guidelines are just being defined, but one warning must rise above the din: never, ever, try to gain unauthorized access to an employee's private social networking site. 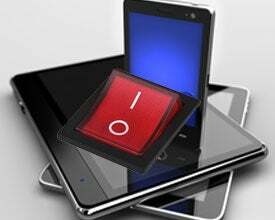 Are BYOD Employees Decommissioning Mobile Devices Properly? An information security officer recommends adding procedures for decommissioning devices to your BYOD policy before your BYOD employees upgrade to the latest smartphones and tablets this holiday season. As federal agencies develop strategies for an increasingly mobile workforce, the traditional methods of securing a desktop environment have to evolve to account for the growing crop of wireless devices in use. Symantec vice president of public sector urges federal CIOs to embrace BYOD, but to update their security posture to also focus on files and applications. Employees who want to use their smartphones and tablets for work better be prepared to sign on IT's dotted line and essentially give away their privacy rights. Bring-your-own-device, or BYOD, programs in the enterprise can liberate employees and trim the bottom line. But it also brings hidden costs and security risks to a corporate network. Here's what enterprise IT is doing to secure personal devices and maximize the ROI potential of the BYOD movement. U.S. employees may never be as accepting as the Chinese about BYOD's potential privacy violations, but American companies can still learn a lot about effective BYOD from China, namely, better educating workers about security. Bring Your Own Device programs promise to remove the cost of smartphones from a company's balance sheet. But most companies transitioning from company-issued smartphones to BYOD aren't even breaking even. Here's a breakdown on BYOD's hidden costs and some tips from those in the trenches on how to make BYOD work for your business. In the brave new world of BYOD, zombie phones are most likely lurking in your enterprise. As company-owned mobile phones are replaced by employee-owned devices, corporate billing from carriers sometimes lives on. Are these undead phones eating away at your tech budget? When it comes to mobile devices, hidden costs are everywhere. There's a good chance your company is paying for something it shouldn't be, and this infographic will help you spot the unintended financial consequences of employee mobility. Where's the BYOD Payoff? Companies may be bleeding corporate dollars in the name of BYOD productivity gains that don't really exist, says Nucleus Research. Does BYOD Cost Too Much? Are your employees taking liberties with their BYOD expense reporting? Mobi Wireless Management's Brandon Hampton advises Fortune 100 companies transitioning from corporate-owned devices to bring-your-own devices, or BYOD and in this Q&A with CIO.com you'll be surprised at what he tells them. The Bring Your Own Device movement was supposed to make employees more productive while saving companies money. But a funny thing is happening on the way to mobile nirvana: Companies aren't doing it, according to a new study by CompTIA. Should CIOs Use a Carrot or a Stick to Rein In BYOD Workers? Many workers who bring their mobile devices to the office don't care about security, which is forcing IT leaders to take action. Some CIOs offer stipends to help cover mobile expenses in return for BYOD compliance. Others are choosing to throw the kill switch on lost or stolen smartphones. You lost your smartphone, which you also used for work. Think that's bad news? It gets worse. You wait a few days to tell IT. These days that can get you fired. So now you're thinking, 'I really wish I read that BYOD policy.' Five years after BYOD first caught fire, IT is still trying to figure out how to handle it. More than 60 percent of employees say it is OK to transfer work documents to personal devices or online file-sharing apps. Given that statistic, it's no surprise that companies want to rein in BYOD. However, there may be alternative: A move to company-owned-personally-enabled devices promises to give employers greater control of mobile devices without trampling on privacy. IT departments want to control the devices employees bring into the workplace. Employees say, 'my device, my rules.' It's an epic battle that promises to rage on, but who's winning right now? Check out this infographic for a BYOD scorecard. CIO.com's Tom Kaneshige writes that implementing a BYOD program is like setting sail on uncharted seas where danger lurks like pirates. However, if you navigate the waters carefully and batten down the hatches, you can enjoy a smooth journey. Mobility in the enterprise is on the move. What's the future look like? BYODers might have to fork out more cash, businesses must turn into mobile tech experts, and CIOs will take on a new role. Does Mavericks Burst Open the Door to BYOD for OS X? By offering a free Mac OS X upgrade that's (quietly) enterprise-friendly, Apple may have found a way to appeal to both the consumer and business sides of Mac users' persona. And once they have a chance to test it, it may even make CIOs happy. What Does iOS 7 Bring to the BYOD Party? Infographic: If you're a CIO (or other IT leader) and you have a BYOD policy in place, you also have some trust issues to overcome: Your users aren't confident their personal data is remaining private. What Can Employers Really See on a BYOD Smartphone or Tablet? The move to a BYOD workplace means an employee's work life and personal life coexist on a single device. As employees are asked to sign strict user policies, are they also signing away their right to privacy? Here's a look at what a company can and cannot see on personal devices. Security and cultural issues are among many challenges government CIOs face in implementing mobile device management and BYOD strategies. A recent slew of surveys about the bring your own device trend portray a topsy-turvy computing world shaping up in the enterprise. The CIO's ultimate challenge is to prevent the very real world of BYOD from becoming surreal. In a global survey of technology leaders, Dell Quest Software reports that companies that adopt a user-centric approach to BYOD tend to reap the most benefits and suffer the fewest setbacks and challenges. Social media's emergence as a key business app is just one of the trends that have led to a point of no return on consumer IT. Dell's Paul D'Arcy explains -- and shares how CIOs can plan for and benefit from the consumerization of IT. The Bring Your Own Device (BYOD) trend is really taking root among companies everywhere. It's a trend that has challenged IT departments to change the way they think about enterprise IT. I spoke to three companies that have found unique solutions in managing the BYOD trend without compromising the user experience. Consumerization of IT has rocked the usual mode of operation for many IT departments. Because technical knowledge doesn't reside solely with the IT department, processes are being developed to connect IT and other departments. New job positions are being created to handle the opportunities and challenges that this trend brings. Following are three new titles we're seeing pop up in companies everywhere due to the consumerization of IT movement. The influx of younger workers and BYOD programs in 2013 will continue to shake up IT departments, according to new research reports. Should CIOs shift to a device-neutral service model? In a BYOD World, Is IT Redundant? Reports of the death of IT departments in the Bring Your Own Device era have been exaggerated. However, if IT doesn't accept its new role one that's focused less on individual user support and more on setting policies then it might be time to write the obituary. Can BYOD Bury the Hatchet Between IT and Business? BYOD can wreak havoc on the tenuous relationship between IT and the business. But networking giant Cisco, which has a sophisticated BYOD plan for employees, is hoping more reasonable BYOD policies that permit personal cloud services will help bridge the gap. IBM CIO Jeanette Horan has plenty of IT projects and systems to worry about, but perhaps one of the most pressing and timely is Big Blue's ongoing BYOD (bring your own device) rollout, which is aimed at including all of the company's 440,000 employees over time. With BYOD iPad security under control, financial services firm Blackstone looks toward tough challenges ahead, including the possibility of company-owned iPads and opening up its BYOD program to Android and Windows 8 devices. For Dell Software CIO Carol Fawcett, "BYOD" is not about being an expert on every mobile device in the world; it's about giving workers secure access to the apps and data they need on whatever device they are using. Fawcett reveals more BYOD tips in this CIO.com Q&A. As more companies adopt a bring-your-own-device (BYOD) approach to mobile, many are getting caught by hidden costs. But virtualization titan VMware has bucked that trend. VMware CIO Mark Egan explains how his company accomplished its feat. Will BYOD Give Rise to the Enterprise Genius Bar? As the evasion of consumer tech changes IT, it makes sense that support for consumer devices would start to reflect the retail experience. Think Apple's Genius Bar. Mike Burgio of Inergex, an IT services firm, talks about why IT leaders need to think about hitting the bar. CIO.com Senior Editor Al Sacco sat down with Research In Motion (RIM) CIO Robin Bienfait at CTIA's MobileCon 2012 conference to talk about RIM's future, business continuity, mobile security, BYOD, the modern CIO role and what it means to be a woman in a role dominated by men. As the Bring Your Own Device trend gains traction, Dell and EMC/Cisco are taking different approaches to desktop virtualization. Generally, Dell aims for PC users in the midmarket, while the EMC/Cisco partnership may work better for enterprises that have to consider the iPad. Both tacks are worth a look, though. From social networks to seven-digit savings to employee angst, VMware's internal BYOD program for smartphones has it all. Now the company is looking to expand BYOD to laptops and tablets. While smartphones and tablets have stirred the bring-your-own-device crowd to action lately, employees have been bringing their own tech gadgets to work for years. Here's a look at some of the coolest BYOD tech, past and present. The bring-your-own-device trend intersects the lines of personal and work lives, stirring up a mess of problems for enterprise IT leaders, from dealing with lost devices to keeping corporate data out of consumer cloud services. The rapid-fire spread of mobile devices being used by enterprise employees can be a huge boon for businesses in productivity and customer service gains, but those advantages don't come without a price. Mobile vendors are pushing technologies that split a smartphone into two separate platforms for business and personal data. Problem solved, right? Not so fast. It's still easy for employees to circumvent the two worlds. VMware has partnered with Verizon to offer dual persona smartphones for Verizon enterprise customers. It's currently available on two Android- based phones, but more Android devices and iOS support are expected soon. 10 Popular iPhone Apps - Blacklisted! BYOD programs may come with the restriction of apps that consume too much data, risk malware or distract workers. Here are 10 iPhone apps that you're likely to find on a blacklist. BYOD has killed the Cisco's Cius tablet, putting the final nails in the coffin of the "enterprise-only" mobile device. Will Windows 8 Be the Client OS That IT Loves Best? Speakers at Microsoft TechEd touted the virtues of the upcoming Windows 8. No surprise there except the speakers were using Windows 8 on tablets, with nary a desktop in sight. Will the strength of Windows 8 on tablets finally get IT and end users on the same BYOD page? Is Windows 8 the Answer to Consumerization of IT Woes? CIO.com columnist Rob Enderle says enterprises won't rush to roll out Windows 8. However, they may see the new OS in the form of Windows RT, the ARM version that combines the snazzy UI that users like with management and security controls that IT likes. In other words, Microsoft may finally make a foray into BYOD endeavors. Can BYOD Breathe New Life Into the Virtual Desktop? Seattle Children's Hospital isn't your typical BYOD story. Its mobile device strategy isn't bound by onerous user policies and monitoring software. Rather, the hospital's CIO reports an interesting twist: BYOD is resuscitating ill-fated virtual desktop infrastructure technology. As traditional security concepts of perimeter and end-point defense break down as a result of the proliferation of cloud services and the BYOD phenomenon, enterprises are increasingly feeling the need for greater control over access to applications. That's where automated identity and access management comes in. VMware wasn't just looking to save money when it launched a BYOD plan with the mandate that all of its U.S. employees use their personal mobile phones for work. It was taking a crash-course that would help shape its vision of post-PC era computing. Can Nvidia's Kepler Processor Revolutionize Virtual Desktop Hosting? Nvidia recently demoed its long-awaited Kepler graphics processor with no less than a simulation of two galaxies colliding. On a practical level, though, the technology could answer many questions about virtual desktop hosting and, in the process, fill glaring holes in BYOD policies. Mobility is reshaping business worldwide. It's also reshaping how IT operates, fueled by the "Bring Your Own Device" trend, a trend that's been in the making since at least 2008. In this webcast, you'll learn how world IT leader SAP has embraced BYOD for lower costs, higher employee satisfaction and better business outcomes. On average, a new wireless device, complete with its own quirks and running on an increasingly sophisticated array of operating systems, reaches the market every 45 days. Even now, wireless smart devices are replacing cumbersome equipment once thought indispensable to business, enabling employees to choose the tools they are most comfortable with to perform their duties. This revolution impacts the corporate network as devices and people jump on and off the network throughout the day. Enterprises that are not prepared for the tidal wave of wireless devices massing in the market will not only fail to realize the benefits of the BYOD revolution; their networks will be crippled. Read this informative white paper for ways to meet the needs of your users powered by the new wireless enterprise. Bill Snyder analyzes the consumer technologies--gadgets, software, electronics, and everything else--that matter to everyday techies and businesspeople, and explains why these technologies and products should be on your radar or not.